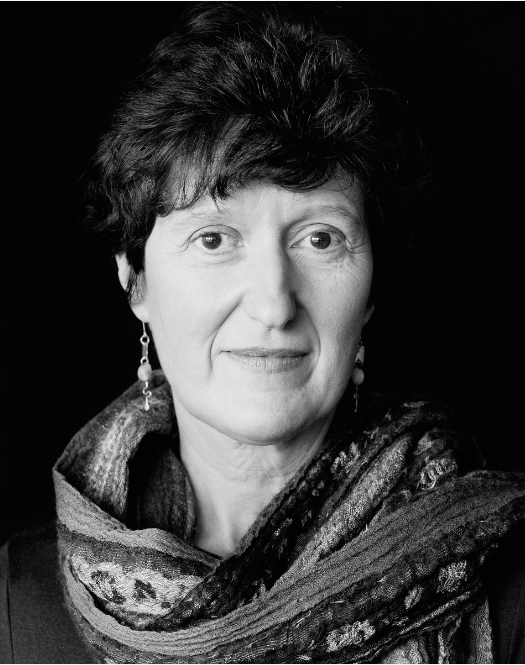 Russian Mind spoke to Catherine Merridale, Professor of Contemporary History at Queen Mary University of London, about her new publication Red Fortress: The Kremlin in Russian History. Russian Mind: What first attracted you to write about Russian history? Catherine Merridale: I learnt Russian when I was at school. It was complete serendipity, and learning the language was such a pleasure that I got hooked. RM: You’re latest book is on the history of the Kremlin. Why did you choose this subject? CM: I went to Russia for the first time in 1982. I was fascinated by the bleak landscape that was Soviet Moscow. One of my previous projects was on the oral history of trauma and pain. I was at a conference and someone suggested doing something on perpetrators, the KGB or interrogators. If you want to look at Russian history the ultimate perpetrator is the state. This book was an opportunity for me to get to grips with the state in a very big way. 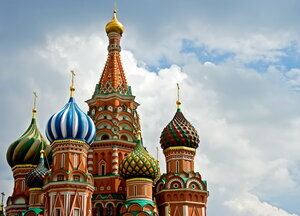 Like falling in love with Russian, I became increasingly fascinated with the Kremlin. It’s such a fantastic monument to Russian history. RM: What do you think it is about the Kremlin that makes it so iconic in Russian history? It is a symbol of power and authority, but it is also an extraordinary historical building. CM: Yes and it is also a religious symbol. So it’s that combination of all those things. It’s a symbol of Russianness that combines the religious, the powerful, and historical pain. I think it’s the pain of all the losses that the Kremlin embodies, and the fact that it has survived. It is to some people, not everybody, very beautiful in its way. Lots of Russians want to see their history – here it is. RM: What does Kremlin actually mean? CM: It means stronghold or fortress. It comes from the North. In the 14th and 15th centuries Russia wasn’t Russia but a series of city-states. Pskov and Novgorod had to fortify themselves against all sorts of invaders and so they built these fortresses to protect themselves. RM: Your book covers a huge time span. As an historian, how do you tackle so many centuries in one publication? CM: Slowly! And with the help of everybody I could lay my hands on! When I was a student I read a book by James Billington called The Icon and the Axe, and I absolutely loved it. In the back of my mind there’s always been a thought that I would write a book of Russian history similarly ambitious in its scope. But if anybody had told me it would take six years; three full time years and three years thinking about it, it’s a daunting thought. But it’s so enriching to understand not just Russian history from the 9th century to the present, where it fits into the stream of European and world history. RM: You have included unpublished material from Russian archives. Where did you find that primary material and how important are these documents to historians? CM: Archives are always enriching. I found lots of material in the Archive of Ancient Arts in Moscow. They would give me the documents but I’d find I couldn’t always read them because they were in medieval Russian! The archivists were very helpful me to locate these beautiful and valuable artefacts. RM: What kind of documents were you looking at? CM: Documents relating to accounts for instance, I was very interested in how much things cost and who paid. I was looking at documents relating to big fires and monasteries, which no longer exist. They’re very interesting because they take you into another world. The written histories that were written in the 1950s and 1960s about the Kremlin were written by the Kremlin Museum curators. They tend to focus on the big things like the Uspenskiy Cathedral. RM: You’re a Western historian but you have spent a long time in Russia and working in former Soviet archives. Have you faced any challenges as a Western historian there? CM: The way it works is that you can get into the archive with your letter of introduction but then you won’t necessarily get the documents you want. You have to make several visits! It’s like peeling an onion. The most traumatic time for me in the archives was when I would see upsetting material. I worked on the Auschwitz documents for my last book on the Red Army. The archivist shut me in the room on my own all day with these rather distressing photographs. But then there are funny stories. I went to Smolensk to visit their city archive. Officially it was closed so I went to see the head of the archives. She said that it was closed but because I was a woman they’d let me in. So I was put into a room where they had a big notice on the door which said ‘Dangerous. Do not enter’. The archive was in an old Cathedral that was falling into the ravine, so there was no heating or electricity, and as I worked the ceiling was falling onto my desk! RM: Working in archives means you can stumble across material that you aren’t expecting. Did you find any crucial documents like this? CM: Many times. In particular the document about the nuns being kicked out of the Kremlin in 1920. With the Red Army it was the soldiers’ letters in the Komsomol archive, and they were filed alphabetically according to the soldier that sent them. I was on ‘L’ or ‘K’ and I read one series of letters from a soldier to his wife. He wrote to her every other day telling her how much he loved her and how much he missed her. They were very moving. Then I went to the next one in the file and it was from the same soldier to his mistress telling her the same things! RM: So how important do you think primary material is? CM: You can’t work without it. Particularly because Russian history has been so controversial, so anything written before the 1990s is not terribly reliable. I know that during the 1970s Soviet historians used to falsify their footnotes under pressure to do so. So if you rely on stuff that was published early on, then you’re in trouble. It’s like eating food without spices. The archives not only give you new facts but they give you the colours and the textures. 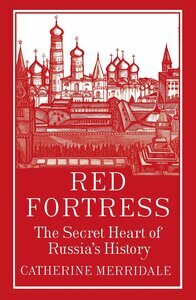 RM: Red Fortress is the first attempt by a Western historian to write an entire history of the Kremlin. CM: Yes, there’s no book that has done everything. Arthur Voyce wrote a history of the art of the Kremlin, but he didn’t have access to it. I was really lucky as they actually let me work inside the Kremlin. It was wonderful to climb up the Ivan Bell Tower where the library is. It was a fantastic landscape and wonderful place with nobody in it. There’s also a library in the old chapel. RM: What is role and status does the Kremlin have today in Russian society? CM: First of all it’s a tourist attraction. It still is the number one tourist attraction in Moscow, above the Tretyakov Gallery. It’s old status is as a pilgrimage site and it’s the seat of the President, and to Russians that means a huge amount. Watching the news, seeing Mr. Putin in that grand office, walking down those huge corridors, that’s their President and their Kremlin. I think that makes a great difference. And finally it is a military base. It’s a secure military compound. RM: So in a way it is used for political purposes as a tool of propaganda? CM: Yes, the Kremlin propagates the idea of an eternal Russia. The idea that it gives you is that Russia is secure, strong and safe. But if you look a bit closer the red staircase was rebuilt in 1994 and another one was rebuilt in the 19th century. Huge amounts of it are not as they used to be. I suppose the walls are Stalinist because he had them re-done. So wherever you go it doesn’t actually symbolise eternity. RM: Are you going to publish the book in Russian? CM: I’m going to try, I would love to. I very much want to reach Russians because it’s their Kremlin, I’m just a visitor. RM: How do you deal with oral history as an historian? People’s memories change over time and people’s testimonies can change. CM: It’s very easy to think of people as respondents but they’re actually people. First of all I had to learn Russian manners. Then really the key to all of history is respect and listening. Of course people tell you the most dreadful lies. There was one particular woman who invited us to her flat and lied to us solidly for about an hour. At the end of the hour I said that it was nice to meet her but that I was well aware that what she had said wasn’t true. And she admitted it, but she said that she just wanted someone to see her new parquet floor as she’d just had it laid! So you just have to keep reminding yourself that they are people and not respondents. RM: What would you say is the role of the modern historian today? CM: Historians tell stories that people want to hear, or need to hear. I’m certainly driven by a desire to understand and to know. RM: What advice would you give to any up and coming historians interested in Russia and Russian history? CM: Buy some comfortable shoes! You’re going to have to do a lot of walking around. If I were a young historian now I’d be looking to travel into the countryside where the archives are full of wonderful things. Where people want to talk and there is so much history that wants to be found out and it’s very rich.